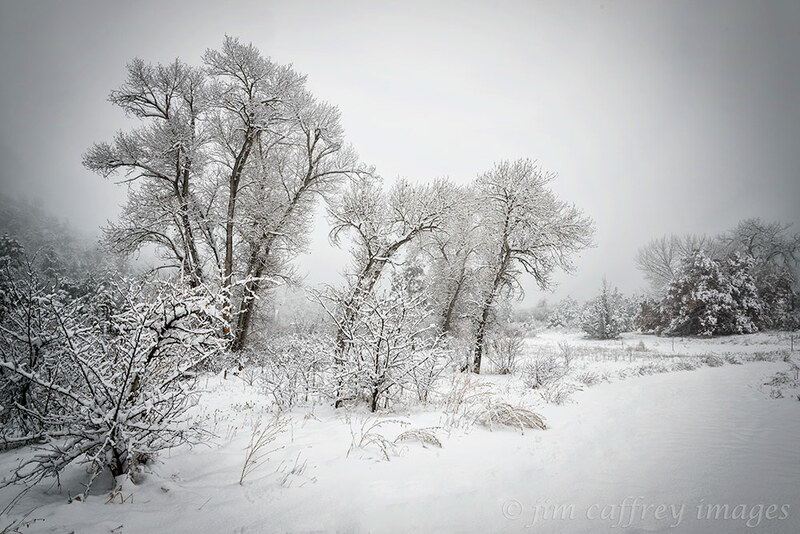 This entry was posted on February 18, 2015 by Jim Caffrey Images. 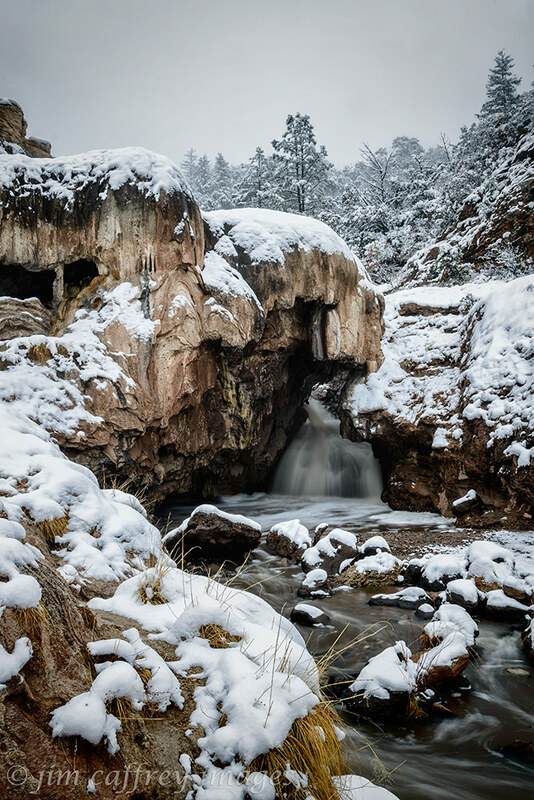 It was filed under Composition, Creativity, Journal, Landscapes, Nature and was tagged with cacti, clouds, geology, hand of man, landscape photography, mountains, nature photography, New Mexico, Photo, Photography, rivers, sky, snow, trees, water, waterfalls, winter. Absolutely stunning images! 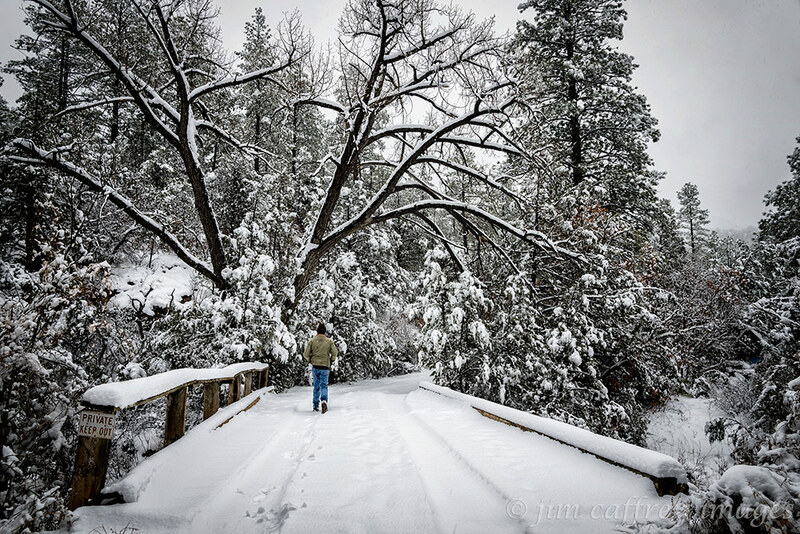 Usually I’m fed up with the white stuff by this time of year, but your photos are a feast for this snow-starved Minnesotan. Well done! 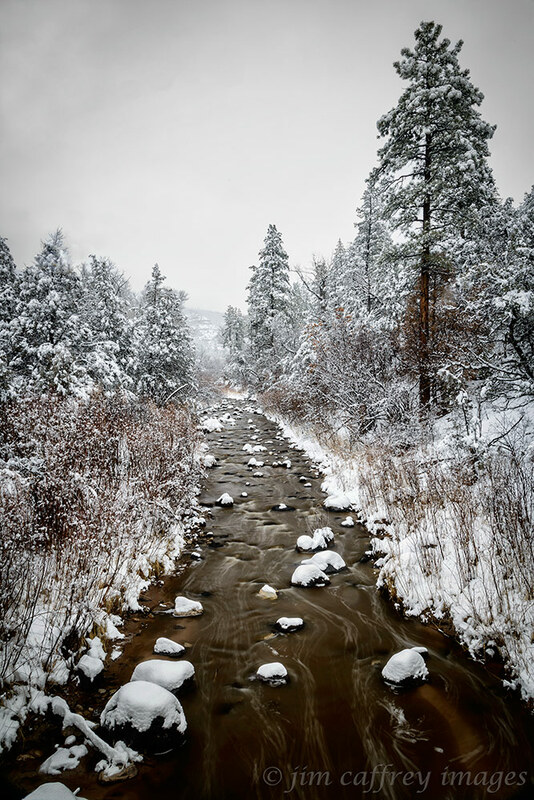 I can feel the snow and the peacefulness. So beautiful and emotional! 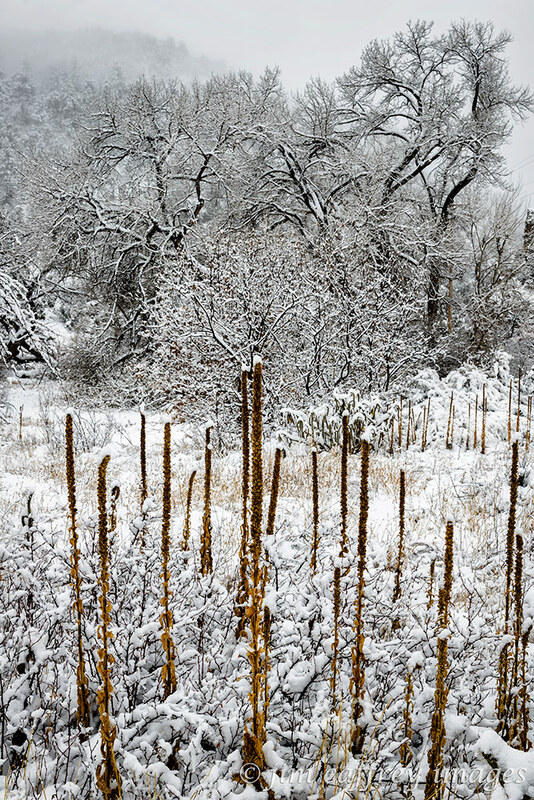 The Jemez Mountains…ahh. 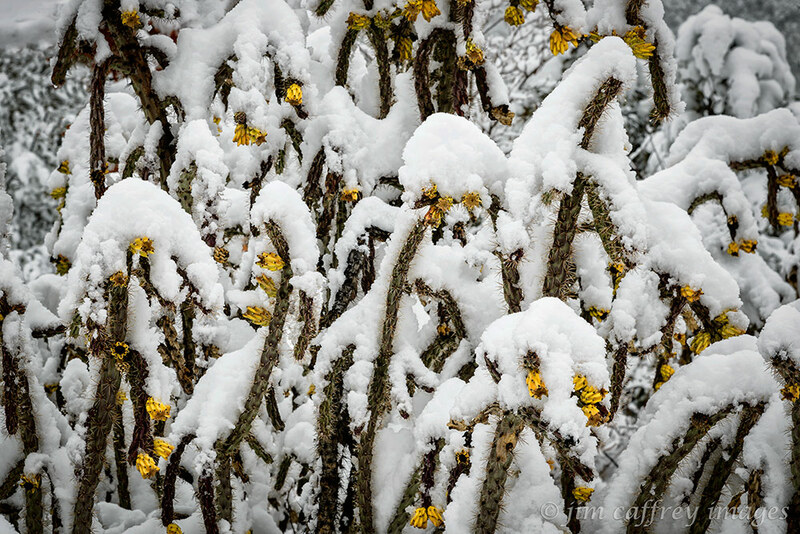 These are just gorgeous Jim – I especially loved the chollas – how rare to see them covered in snow. And the pops of yellow are wonderful. It’s easy to appreciate a snowfall when it’s so rare (as our ice storm was last year) but after the winter some of our compatriots in the Northeast have had, perhaps we need to keep our admiration to ourselves 🙂 BTW, love your description of the “clouds meeting the earth”. Very lyrical. Beautiful pictures. The latest is my favorite. Beautiful images Jim! And what a beautiful place to call home!